I love a good pattern test - a wonderful way to discover new designers, patterns and maybe some new techniques or fabrics & materials. 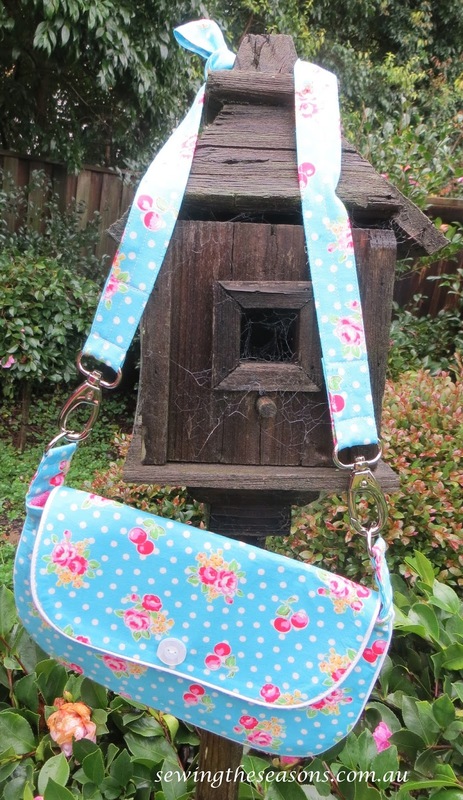 This week I have had fun testing the Katie's Crossbody Bag for Susan from Florida. How great is it that with modern technology I can test a pattern from the USA and meet some wonderful new ladies all at the click of a button and a quick download. This is a cute, seemingly small bag but has lots of room with a phone pocket on the back and credit card pockets on the inside. 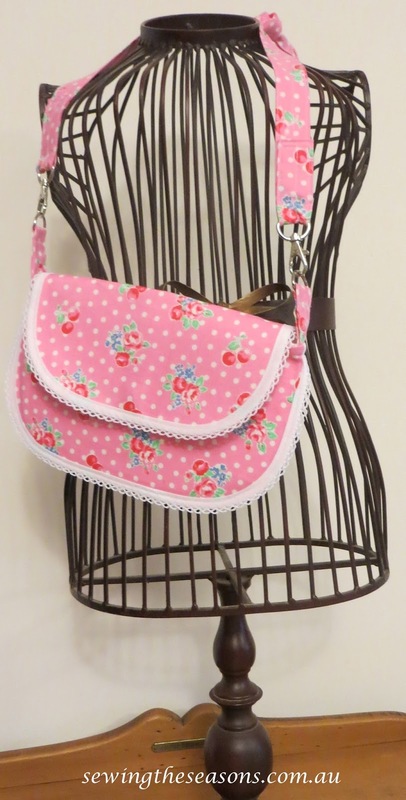 The straps are removable giving the option to use it as a clutch purse. Susan put the call out last weekend and even though I'm in the midst of another pattern test and my own pattern writing, I couldn't resist offering and am so very glad I did. This bag is an easy and quick sew and the look can vary depending on your fabric choice, addition of trims or closing feature. Susan's PDF pattern was easy to follow, photos are included to show some of the steps if you are new to any of the techniques and the bag went together like a dream. Everything fitted where it should and with no need to make any adjustments. Through recent pattern tests (all from the USA) I have been introduced to the wider range and variety of interfacings available to use in bags depending on the look and finish you want. Thankfully, here in Australia, our Spotlight chain (bit like Joannes for those in the USA) introduced the Legacy brand of interfacings last year. They are actually the same as the Pellon ones just under another name but thankfully the number codes are the same (different letters and occasionally different names but still the same range), meaning it is much easier for us Aussies to follow USA patterns exactly. I chose not to do the clip closure as per the pattern but instead went for the good old fashioned press stud. I also used a finer interfacing for the credit card pocket piece and am very happy with the result, it meant I wasn't sewing through the same degree of bulk that would be there if I had used the interfacing used on the exterior of the bag. The blue bag was my first one, using piping as the feature as per the pattern (and a huge thanks to my amazing mum who recently cleared out some sewing supplies and offered me a whole roll of white piping, so glad I said yes!). My trusty blue bendy tool (can't remember it's real name but it's blue and bends so its my bendy blue tool) came in handy to mark out the curves on the bag and flap pieces. I couldn't resist whipping up the pink version using the picot edge for a different feature. 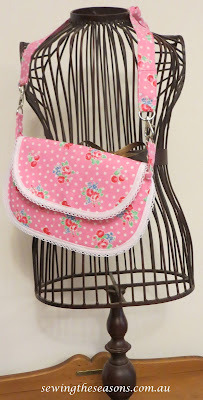 You can purchase the pattern for the Katie's Crossbody Bag here on Craftsy.